I had a five-hour drive to let reality sink in. I just left great friends and a job that I loved, a house full of memories and the feel of warm hugs from my kids at a moment’s notice. After 17 years, I was moving to a new city to be with my husband in a new home, and all I had with me was the dog and my clothes. Oh, and I was six months into a 12-Step program for food addiction. What the hell was I thinking? I was thinking that I didn’t bring enough tissues! Ten years ago, my husband was offered a job in Boston and I refused to leave. I told him, “I’m not pulling the kids out of school and away from their friends.” I also didn’t want to leave my friends, especially since I had already done that once before. The kids don’t really remember that move. I, however, do remember it and how desperately I missed my friends and family. It took me two years to finally feel “at home” in that new house. I now had to go through finding that feeling of being at home all over again. My new home is a one-bedroom apartment (a far cry from my four-bedroom house with a basement and huge backyard). The new place sits on a busy street, with all of busy sound effects that traffic can bring. I had forgotten the lack of privacy one has with common-wall neighbors. If I can hear them cough or sneeze, they surely can hear my conversations with the dog, on the phone, or with my husband. It’s amazing what I’ve learned about them without any exchange of conversation. I chose to make this move because of my prior refusal, and the fact that the timing seemed good for everyone involved. The kids were almost all out (or wanting to be) on their own, I was going to have three months of down time (I worked at a public school) and it seemed like a good time to start the “empty nest” phase of my life. By making the move, I would not be able to fall back into old habits of enabling either my children or myself. It was time for me to grow up. I needed this fresh start, even if I didn’t want it! Finding a job was difficult. Filing for unemployment was out of the question as I had never worked in the new state; and I couldn’t collect from the old state since I no longer lived there. I was fortunate to get hired for holiday help in retail and they allowed me to stay on after the season was finished. It’s not my dream job, but it IS a job. I feel very fortunate to have one! I’ve been in my new home for about a year now, and still feel as though it is temporary. I’ve kept my old driver’s license, car registration, and have yet to begin moving any of my stuff from the old house “just in case.” Letting go is not one of my strong points, but I am learning. Working the Steps of my program of recovery has helped me let go of many things I thought I would have with me forever. Every now and then I catch a glimpse of the light ahead and am able to shed one more layer of something unnecessary in my life, including some bad habits, some weight and some really nasty feelings. Anyone who is working a program of recovery knows the range of feelings that one can experience. Some days are filled with agony, white-knuckling and despair. On the other hand, the good days are filled with joy, hope and sense of well being that makes life full of adventure and new possibilities. My program, and the people I’ve come to know through it, has been my saving grace. When I start to feel a little sorry for myself, I look for another glimpse of light and remember how far I’ve come, and how the difficulty of letting go has eased. I thank God for texting and facebook, as they both give me the feeling of connection. I now rely a little more on the Big Guy in the Sky and try to have more faith and patience. The answers will come when I’m supposed to know them. The dream job will appear when I’m ready for it. The people who mean the most to me will not be far, even if it is a bit of a drive. It’s all going to be okay. LIZ BURGESS: Born and raised in Southern California, Liz can still conjure up the smells of the beach in a heartbeat. While raising four children, she began documenting their antics and in the process realized that writing was just as enjoyable as eating chocolate. 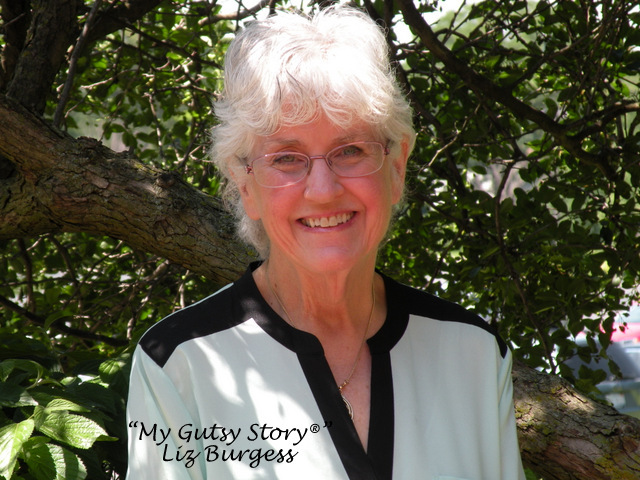 Liz has been writing all of her life, but only recently began taking herself seriously. Her blog, “No Excuses-Musings of a Procrastinator” began as a self-improvement commitment, and has been a terrific platform for improving her writing, networking with other writers, and stepping outside of her comfort zone, all of which have been very rewarding. http://noexcuses318.blogspot.com. 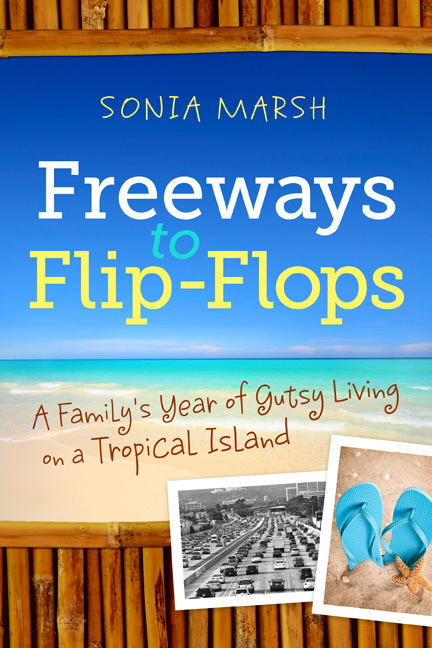 SONIA MARSH SAYS: I think your statement, “When I start to feel a little sorry for myself, I look for another glimpse of light and remember how far I’ve come, and how the difficulty of letting go has eased,” will resonate with many readers. Learning to be patient and to accept change is not easy, and we need to be reminded about this. 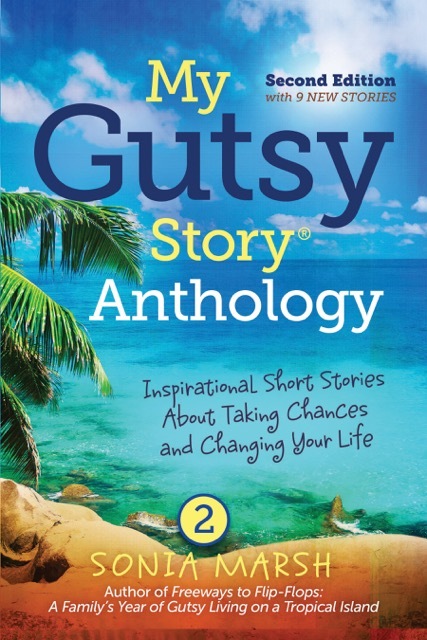 Mark your calendar for September 26th, 6-9 p.m. You are invited to our GREAT LAUNCH PARTY for our first “My Gutsy Story®” Anthology at the South Coast Village Regency Movie Theater, Costa Mesa, CA. 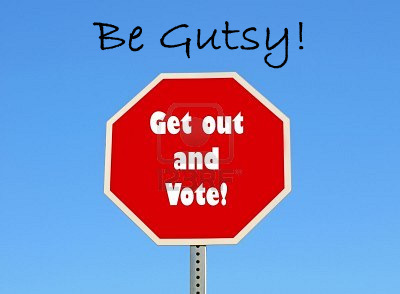 You have until July 10th, midnight PST to vote. Only ONE vote each. Please vote on Sidebar (right above the Freeways to Flip-Flops Book Cover) to Vote. Read all 4 stories here. Having Liz share her story is a blessing to those who know her. She is a wonderful woman and a good friend. We do miss her in the HOOD…thanks so much for sharing your adventure! Thanks for your comment. From writing to Liz, I can tell she is a wonderful person with a big heart. I hope to meet her in person one day. Thank you for your kind words of encouragement. I have been a follower for quite some time and admire your strength, tenacity and courage in all that you do. Thank you for offering this platform for writers to share themselves in the hope of touching another soul. Liz B recently posted..Whoa, Stanley! Your statement means so much to me. 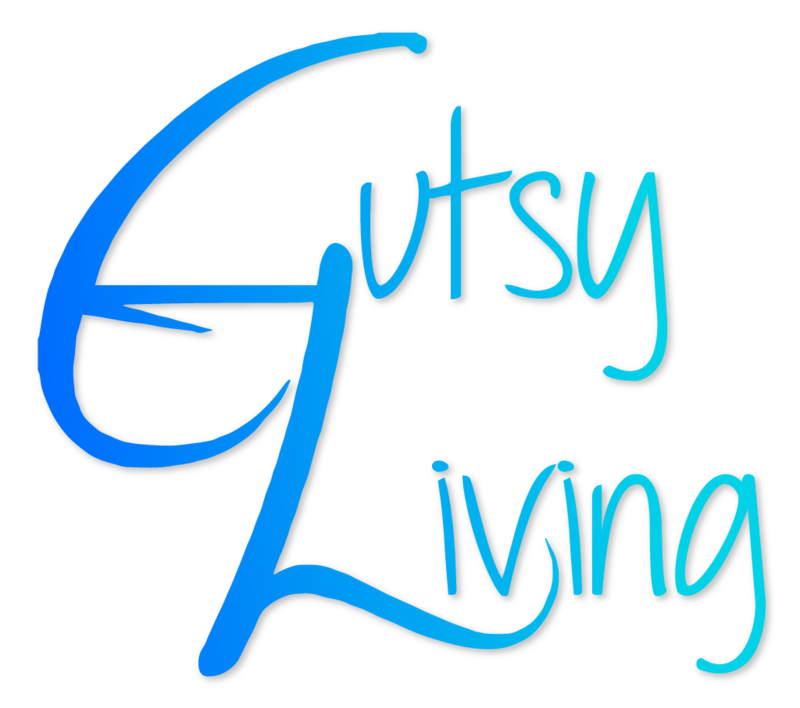 I shall use it to respond to those who ask me, “Why did you start the My Gutsy Story series?” It truly means so much to me when someone can “touch another soul” through sharing their story. Thank you Liz. Thank you for your kind words, Gloria! Hope to see you soon! Thank you for your comments! It’s been a great adventure so far, and there’s nothing to indicate that it’s not going to get better as time goes by, especially now that God is running the show! A coast to coast move has got to be a biggie in many ways. Your kind words are a blessing to me. Thank you! Dear Liz, Letting go is a universal issue and one we can all find challenging. You remind us so effectively how we need to get in touch with our progress not dwell on perfection when it comes to change. 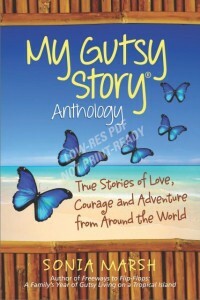 Thank you for your uplifting story! Thank you for your supportive words. I find that I am constantly thinking about progress, not perfection. That’s what keeps me moving forward. I’ve moved so many times in my life I can’t tell you. It is never easy, no matter the circumstance. But, oh the people I’ve met! When I begin to worry about having to move again, (which could happen), I focus on all the wonderful friends I wouldn’t have if I’d not moved before. I’ve heard that of people who move a lot…that although you leave a piece of you behind, the friends you make in the new places are the gifts that help you become planted. You must have a gazillion friends at this rate! Thank you for your support! Thanks Liz for the timely reminder that surrender is part of life and without it we would not continue to grow. I believe God has a plan for each of us in our uniqueness and when we find the courage to just move into that and let go of the “old familiar friends” of fear, rejection and abandonment, we will find an adventure awaits! Thank you so much for your very supportive words! 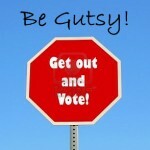 I love your Gutsy Story and know that your words come from your heart! I really feel I am part of an incredible adventure, and am certain that my life will continue to be full of exactly what I need to be He wants me to be. I hope the time soon comes that you feel settled enough to start making new friends in the new workplace and new neighbourhood as well as remembering and retaining all the friends you left behind. I’m pretty sure you’ll eventually find a more suitable home where you’ll find a modicum of privacy but in the meantime, maybe you’re meant to be sharing a party wall for some reason. Keep looking for the glimpses of light and eventually you’ll see the lamp is on all the time. Thank you so much for your thoughtful words. I feel lucky to catch those glimpses at the most opportune moments, and remind myself that it is all going to be just fine! The party wall is a reminder that I am privileged to have a roof over my head. I am blessed. Thanks! A lovely story of letting go and courage. Thanks for your comment. As you probably know, letting go is a “life-long” event for many of us. I find that the more I do it, the easier it becomes. 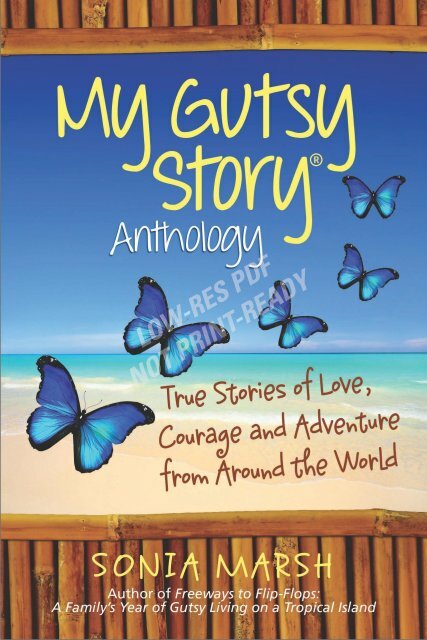 My courage comes from God, and other who have shared their stories. Thanks, again! Liz, 30 years ago this month I arrived in Oregon having lived my entire life to that point (age 34) in Tennessee. What was I thinking? How much I loved the man I’d married two years before, how much more I wanted for my 12-year old son than I’d had, and what an adventure was waiting for me! And yes, the miss of old friends, familiar faces, the right brands in the grocery store, how to get from point A to B without getting lost. I know change is hard and often we fight it with all our might, but I am hopeful you will find “letting go” opening new doors and adventures for you as it has for me these past three decades. Good luck! Thanks so much for your encouraging words. I know that time will ease all of the feelings I’m having. It already has done so much in that regard. I will survive, and I will flourish! I love adventure and as long as I see this chapter as a great one, I know I’ll be very happy! Thanks again for your comments. You have a touching story that so many of us can relate to. I am so glad that Sonia gave us this venue to share our stories, or I never would have seen yours. I’m the lucky one that all of you have opened up and shared your stories. Thanks for your kind words. 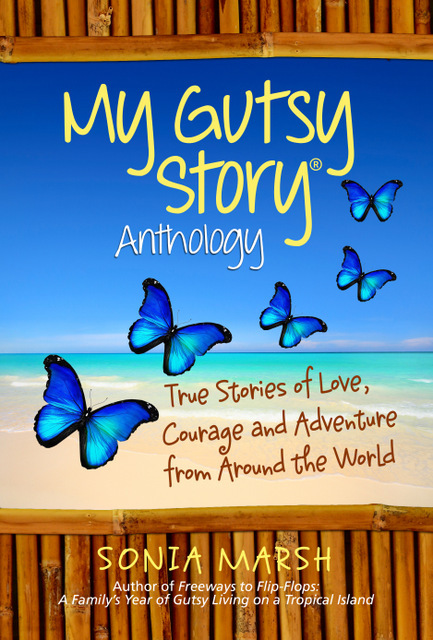 I feel blessed that by having our stories shared, a whole new world has opened for me and I am so very inspired by every story I’ve read. To touch another is a real gift. Thank you, Sonia, for this platform! 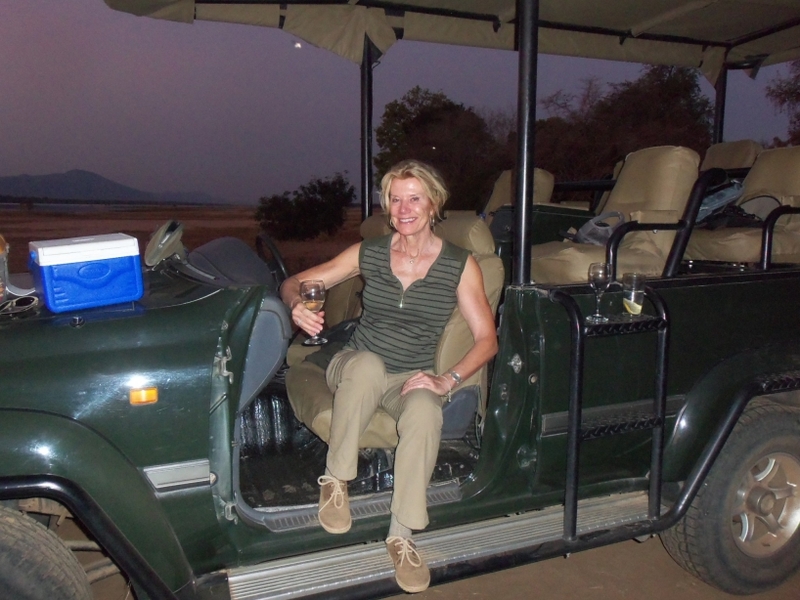 Liz B recently posted..I Used To Be….